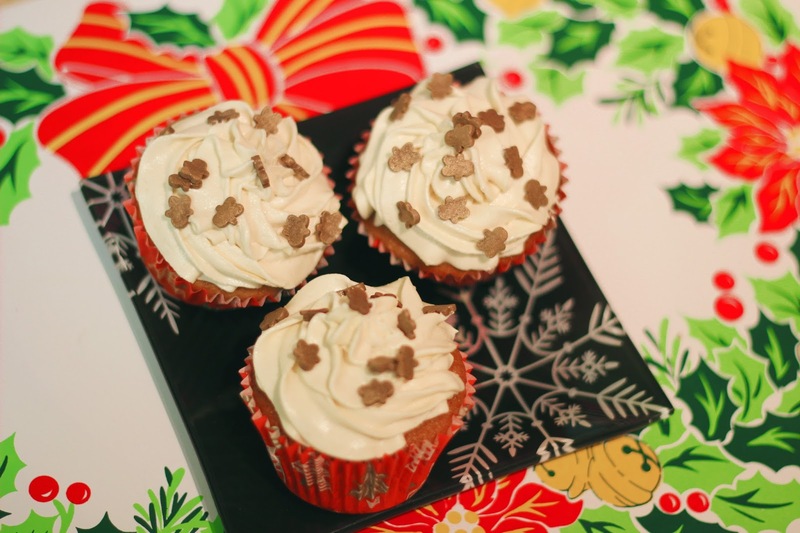 Gingerbread is such a Christmassy scent and flavour, so I couldn’t resist making these cupcakes. Also for once I can eat them because they don’t contain cinnamon! 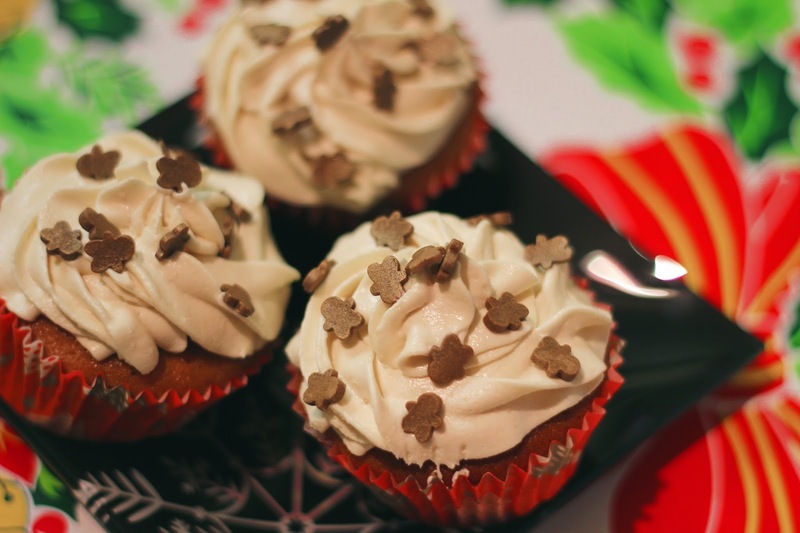 The salted caramel buttercream adds the perfect flavour on top of the gingerbread spiced cupcake, I’ll definitely be making more of these to give out as gifts before Christmas Day. The gingerbread man sprinkles are the cutest too! I found the recipe for these here. 1. Preheat the oven to Gas Mark 5 & line two 12-hole muffin trays with 15 paper cases. 2. Beat the butter and sugar together in a bowl until light and creamy. Beat in the treacle, syrup, eggs and egg yolks until well combined. 3. Sift together the flour, ginger, nutmeg, baking powder and salt. Add half of the flour mixture to the butter mixture, then beat in half of the warm milk. Add the remaining flour mixture and the remaining milk, and beat until well combined. 4. Spoon the mixture into the cases and bake for 20-25 minutes, or until well risen and lightly firm to the touch. Remove the cakes from the tin and cool on the cooling rack. 5. For the buttercream, heat the caster sugar and four tablespoons of water in a saucepan over a gentle heat until the sugar has dissolved, then increase the heat and cook the caramel for 2-3 minutes, or until golden and slightly thickened. Remove the pan from the heat immediately and stir in the cream (be careful it may spit)! Stir in the salt and vanilla and set aside to cool completely. 6. Cream the butter and sugar together for 4-5 minutes at least, then beat in the caramel. 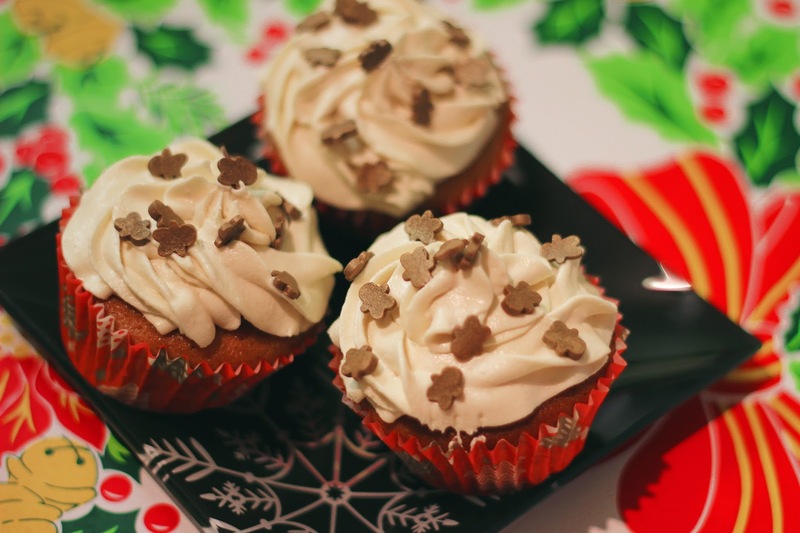 When combined pipe or spread the icing over the cupcakes and sprinkle with a little extra sea salt.